Which farm input cost has increased the most over the last 7 years? Most farm inputs have increased sigfinicantly over the last 5-10 years (this might qualify as the most obvious statement of all time). Which input has increased the most? I recently spent some time analyzing input cost data from the University of Minnesota’s Farm Financial Database. It’s a great resource for historical, actual farm finance data. Click here to check it out. It’s very intersting that we’ve seen the most appreciation in the input that producers, as a whole, have the most control over. This highlights farming’s competitive and capitalistic nature. Here are some key takeaways from this analysis. Farms should make an effort to convert cash rents to flex rents (click here for more information on this topic). I know it’s much easier said than done but cash rents are not ideal for today’s volatile commodity markets. Most of these rent contracts are multi-year commitments but very little farm revenue is locked in via a multi-year sale/hedge. 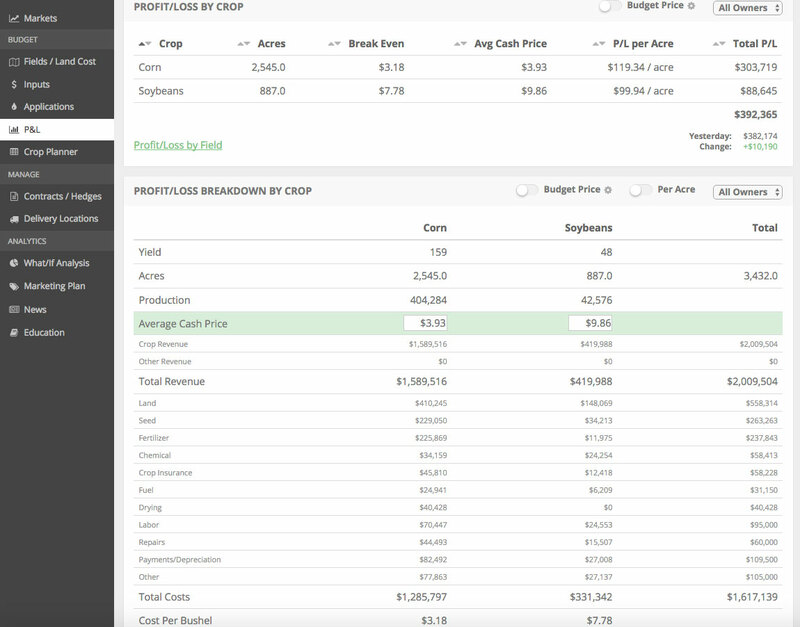 Producers should be tracking future year margin opportunities and work to match multi-year expense commitments with some multi-year revenue opportunities. There is no “once size fits all” rules for this. Producers need to track their margin opportunties with the goal of taking some risk off the table during periods of premium prices. Since we can’t control future prices, a profit margin-based approach can make this difficult process easier. Our software makes it easy to build multi-year budgets and track profit opportunities. Click below to sign up for a fully functional demo.